Motorcycle sunglasses affect both comfort and safety, but many riders wear glasses that match their riding attire better than their riding environment. This is not a surprise since it is almost impossible to find objective information about selecting motorcycle sunglasses. This guide is our attempt to remedy that problem. As an avid motorcyclist and the owner of ADS Sports Eyewear, I get to road test every major brand of motorcycle glasses on the market. As an optician, I know what improves contrast and protects eyesight. The following guide presents two fundamental steps to follow when selecting motorcycle eyewear. At the end of this guide, I also give my opinions about the Best and Worst products from the top two manufacturers, and let you know how they compare to each other. Step 1: Choose glasses that fit the type of riding you will be doing. Longer rides or even short rides at high speeds require glasses that prevent wind from swirling around behind the lens and drying out your eyes or blowing the glasses right off of your face. If you are usually riding between stoplights, you will want eyewear that allows more air circulation to minimize fogging and perspiration around the eyes. Wiley-X and 7-Eye by Panoptx each offer a line of sunglasses featuring a foam eyecup that protects the eye from swirling winds. Both manufacturers also feature a venting system that manages the amount of air that comes through air vents on top and escapes out the bottom or on the sides. While too much circulating air will dry out your eyes, too little circulation will suffocate them. Either condition will reduce the amount of time you can ride comfortably. Many of the knock-off versions of these glasses do not effectively balance these airflow requirements. You can spot the knock offs because they are usually priced around $15-40 and are a brand that you can't find any information about online. Unfortunately, some online stores import cheap frames from overseas and try to pass them off as quality. We are against that practice and prefer to offer premium eyewear with a reputation for quality. Be extremely cautious about wearing eyewear on a motorcycle not designed specifically for speed. Choose a frame that adequately wraps around the side of your eyes. Smaller frame swill direct the burble of air created by the lens right into your eye. While this might keep the bigger bugs from flying directly in to your eye, it will provide little protection from wind and dust. The frame build should be able to withstand harsh impact. An unbreakable lens has little value if the frame it is in could disintegrate right in from of your eyes. Step 2: Choose a lens that fits your needs. There are a limited number of solid lens choices available to motorcyclists, and many more bad choices. The importance of making the right choice cannot be overstated. The correct lens choice will reduce eyestrain, improve contrast, and quicken your reaction time. Most importantly, it must protect your eyes from harmful light AND airborne hazards. All brands of motorcycle sunglasses that are non-prescription will use (or they should) at the very least the polycarbonate lens material as it is shatter-proof. When selecting a lens material for prescription motorcycle sunglasses, we give you a few more options that you can read about below. Factors to consider when selecting a lens include: lens material; polarized or not; photochromic (transition) or not; and lens color. Regardless of what you choose, there will be always be pros and cons. Here we try to present the pluses and minuses associated with each choice. Polarized lenses will allow you to see through the glare on a car windshield or a wet road. It will also show stresses in a windshield, so if the back windshield has heating elements to clear fog you might see a big checkerboard through polarized lenses. Polarized lenses are the most effective way to cut glare and get a clean, crisp view of the road. Polarization is not a lens coating; it is a series of crystals sandwiched inside the lens that blocks scattered light from reaching your eye. Sources of reflection and glare could be windshields, wet roads, buildings, or direct sun light. Reasons not to get polarized lenses include: older LED instrumentation is harder to see through a polarized lens; vision could be distorted if polarized lenses are worn under some full-faced helmets; and polarized lenses are more expensive that traditional lenses. If you do not have older LED instrumentation or a full-faced helmet, we highly recommend polarized lenses for motorcycling. We have done lots of testing and published several articles about wearing polarized lenses while motorcycling. This article titled Polarized Sunglasses Tested for Shortcomings has some of these results. This was done in response to the old-school belief that polarized lenses should not be worn on a motorcycle because it would be harder to see puddles in the road without glare reflecting off the water. Our finding proved this theory blatantly false. Glare does not help you see anything. Polarized lenses allow you to see through the glare on top of the water so you can see hazards in a puddle. In summary, if you need glare to differentiate pavement from a puddle, you are a candidate for prescription motorcycle sunglasses. Overall, a polarized lens is a healthy lens. Eye doctors prescribe them after surgeries for a reason, and that is to keep more light out of your eye. 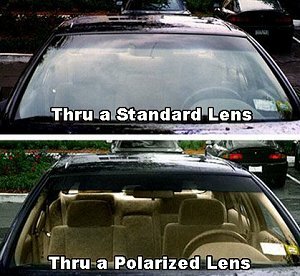 Most people who try polarization side by side with a regular tinted lens almost always feel better in the polarized lens. Photochromic lenses are becoming very popular with people who want one pair of motorcycle glasses for both day and night riding. This is especially true of prescription lens wearers. The biggest downside of photochromic lenses is that polycarbonate lens material does not get quite as dark as the more breakable photochromic lenses (like glass or CR-39 plastic). For people that who sensitive to bright light or people who prefer darker sunglasses, these may not get dark enough to be comfortable. Lens color is almost as important as polarization when trying to maximize clarity and contrast. For most people, shades of copper provide the best contrast, and copper will always sharpen colors like reds and greens. Grey lenses are best for maintaining true color. In low light conditions like dusk, dawn, or rainy days a yellowish or light rust lens color can cut glare and improve contrast. However, if your only source of light is your motorcycle headlight a slight tint will not improve contrast, it will just reduce the little bit of light you have to work with. 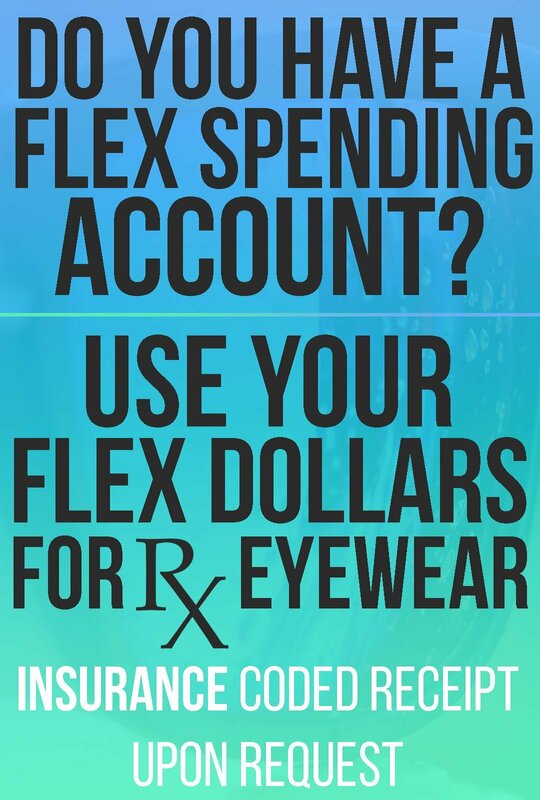 Any frame recommendations made above are available in prescription. As far as lens colors, all of the same rules apply. 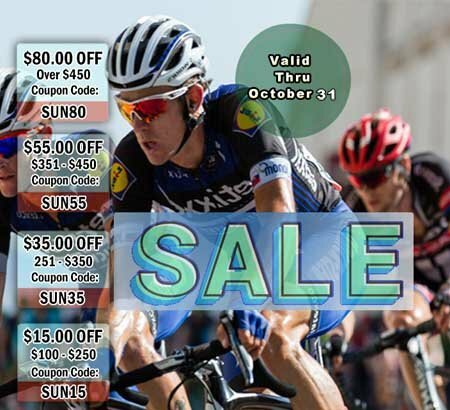 Knowing the available lens designs is the most important aspect when buying your riding glasses with a prescription. It is worth knowing that we will always use a Free-Form Digital lens design when making prescription eyewear for sporting or riding activities. Free-Form digital surfacing recalculates your prescription at every point on the back of each lens using your pupil location as the starting point for the Rx. Basically, what you need to know is that a Free-Form digital lens will provide a much bigger sweet spot, and will eliminate peripheral distortion commonly associated with putting a prescription into wrapped glasses or sunglasses. If your doctor has told you that you can't wear a wrap, give us a call and you will be pleasantly surprised. More about Free-Form digital lenses. 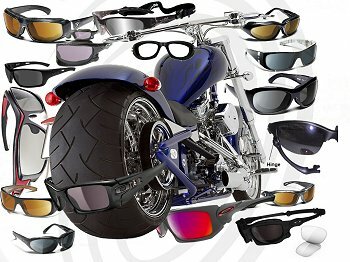 This is the most common selection for people buying motorcycling sunglasses and is for people that only need distance correction. That means that you do not normally have a bifocal or reading segment in your glasses. The Free-Form surfacing gives you a much larger optical center or 'sweet spot' so that you can see more without turning your head. This lens is best for those who need a reading portion that gradually gets stronger as you look down further in the lens. This is also a 'no-line' design. With motorcycle glasses, we usually set the progressive lower than we do in standard glasses because riders usually want it out of their normal field of vision with they ride. It is mostly helpful for quick glances at the gauges. This is your everyday tint that blocks 88% of light while still blocking 100% of harmful UV rays. We can do a standard tint in any color you desire including brown, bronze, grey, rose, yellow, and more. All polarized lenses are tinted but are not available in any color like a standard tinted lens is. We provide grey, bronze, and a green/brown tint in polarized lenses unless you are buying Prescription Oakley Sunglasses that have a much wider polarized lens selection. You can read more about polarization further up this page. These are the lenses that darken when sunlight hits them. They are available in either grey or brown. They will not darken behind a helmet shield or windshield in a car. You should always add an Anti-Reflective coating to a clear or Transitions lens to prevent the 'halo' effect. We do offer specialty Transitions lenses that darken behind a helmet shield or windshield. We know that motorcyclists like to go fast and look good doing it. Adding a colored mirror to your lenses that hide your eyes and block a little more light is a popular option. We provide mirrors of just about any color and you will find the options on the page where you purchase your glasses. A mirror coating will add $79 to the cost of your lenses, regardless of color. Lens material choices are to polycarbonate, Trivex, or SR-91. SR-91 is a polarized form of Trivex so it has the same durability. Any other material will shatter when struck by a rock or a bug at highway speeds. If you wear regular street eyewear on a motorcycle, it is just a matter of time before Darwinism takes you out of the gene pool. Here is an example of how different materials hold up to impact testing. If you are purchasing prescription motorcycle sunglasses and someone offers to sell you a UV lens treatment, you can assume this person is either inexperienced or unethical. The three acceptable lens choices listed above block UV rays naturally and no additional coating is required. Any lens that requires UV lens treatment is breakable and is not acceptable in motorcycle eyewear. We use polycarbonate lenses in about 80% of our prescription motorcycle glasses. Trivex is gaining a bigger portion of this market as more people find out about it. SR-91 is about 50% more expensive than polycarbonate, but the optics are phenomenal. The SR-91 Copper-12 lens is very compatible with motorcycling. All SR-91 lenses are polarized, and none are photochromic. 1. SR-91 - This is polarized Trivex. This is as crystal clear as it gets in terms of unbreakable lens materials. 2. Trivex - The US military's improvement on polycarbonate. It is lighter, stronger, and provides better optics. 3. Polycarbonate - The standard lens material for 95% of sports sunglasses brands. Non-Prescription motorcycle sunglasses always come with unbreakable polycarbonate lenses so you won't need to worry about choosing a material if you are not buying prescription. Can my prescription go into a wrapped pair of sunglasses for motorcycling? Absolutely. We use new Free-Form Digital lens surfacing technology that compensates for the wrap of the glasses, eliminating the peripheral distortion that used to come with putting a prescription in wrapped sunglasses for motorcycling. Most local eye doc shops are still grinding their standard lenses in house and by hand. Comparing standard lenses to free-form lenses is like comparing VHS tape quality to Blu-Ray DVD, high definition glory. How can I keep my eyes from drying out while motorcycling? Motorcycle glasses frames with removable eye seals are far and away one of the best developments in eyewear for motorcycling. For high speed, long distance rides you can keep the eye seal installed and experience superior comfort in your eyes and longer time in the saddle without getting worn out. When you are just riding around town you can take the seal out. It is all about achieving maximum comfort to increase awareness. Chances are that if you are squinting and thinking about keeping your glasses from blowing off, you are not fully aware of your surroundings. What is the best lens color for motorcycling at night? A lot of manufacturers used to put yellow lenses in their glasses because they thought that it brightened up the field of view, but the use of the yellow lens has drastically dropped. This is because while yellow might feel brighter, it is actually decreasing the amount of light you receive, while providing no additional contrast. Yellow actually washes contrast out of your field of view which can be quite dangerous. A clear lens is the best choice for night riding, just be sure to put an anti-reflective coating on your lens to get rid of the starburst effect from lights. The starburst effect is when lights in your field of view reflect within the lens and create a sort of double vision that can be very distracting. A transitions lens would be a good choice for anyone riding at times that go from light to dark or dark to light without pulling over and changing glasses. Finding the right motorcycle eyewear will make riding safer and more enjoyable. It requires a little information, and a little time. We can give you the information. You have to get off your bike for a few minutes and make the time. If you have any questions, call us. We are happy to help or offer suggestions.